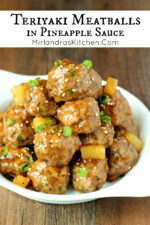 These flavorful meatballs in a sweet teriyaki pineapple sauce always go quickly! 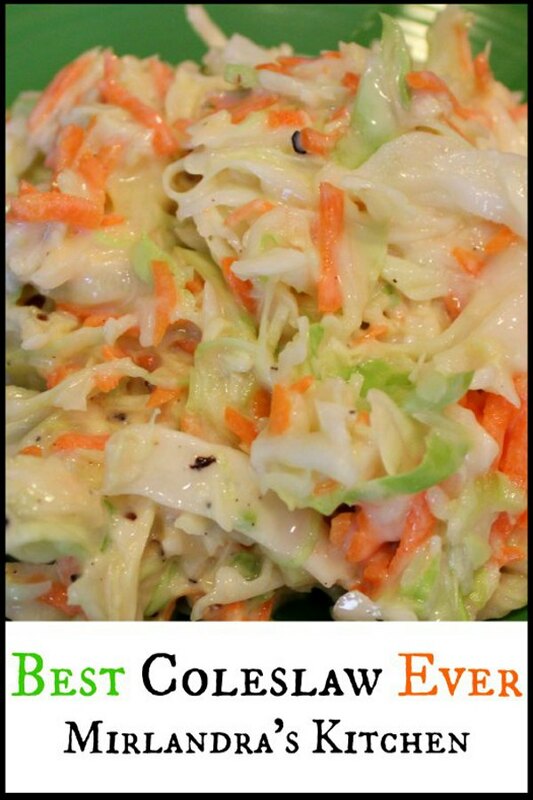 We serve them as appetizers or with rice and veggies for a simple dinner. What is it about the humble meatball that makes us love it so well? Meatballs as appetizers, as dinner, as snack, as party food, as sandwiches – even on pizza! We love ’em and we can’t get enough of them. To me the perfect meatball is savory and flavorful but never dry. It should be tender and juicy and be coated in some sort of wonderful sauce. These Teriyaki Meatballs fit that bill just right. I made a double batch for a friend’s party earlier this month and she was quick to ask for the recipe. I’m planning on making them again for the Super Bowl. They are one of my go to party foods now. Make sure to drop me a comment below and let me know how yours turned out! Tools In This Post: I use a simple scoop like this to make my meatballs. It is 1 Tbsp. or 1/2 oz scoop. I also use it for cookies! It makes the job go a lot faster. 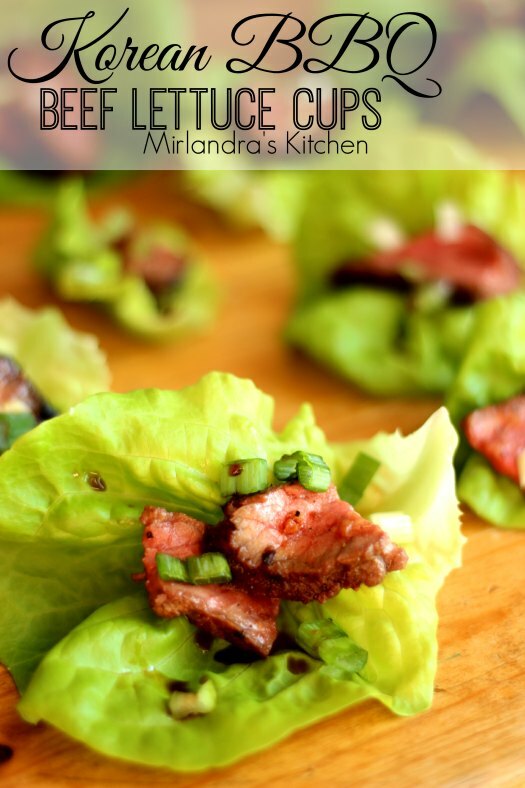 If you enjoyed these Teriyaki Meatballs you will also love my Korean Beef Lettuce Cups! Preheat the oven to 400 F. Line a cookie sheet with parchment paper and place a rack (such as a cookie cooling rack) on top of the paper. Spray well with non-stick spray and set aside. Crumble the beef and pork into a large bowl. Add the Panko, eggs, onions, garlic, ginger, soy sauce, sesame oil, black pepper and white pepper. Use your hands to gently toss and combine the meat mixture just until it is well mixed. Do not over-mix as meatballs can become tough. Use a 1 Tbsp size scoop to portion out the meat to make even sizes. Tip: It works best to keep one hand clean and use it for the scoop. Spray the other hand with non-stick cooking spray and use it to form the balls. Place the balls close together on the prepared rack. Bake in preheated oven for 15-18 minutes until the meatballs have reached 160 F on an internal probe thermometer. The outsides will be lightly browned. In a small bowl whisk together ¼ cup of the water with the corn starch. Set aside. In a medium sauce pan over medium heat combine 1 cup of water, soy sauce, brown sugar, ginger, garlic powder, honey and black pepper. Bring the mixture to a simmer whisking often. When the sauce is simmering use a whisk to stir in the corn starch / water mixture. Whisk constantly for another 1-2 minutes until the sauce has thickened some and will coat a spoon. Stir in the pineapple tidbits. 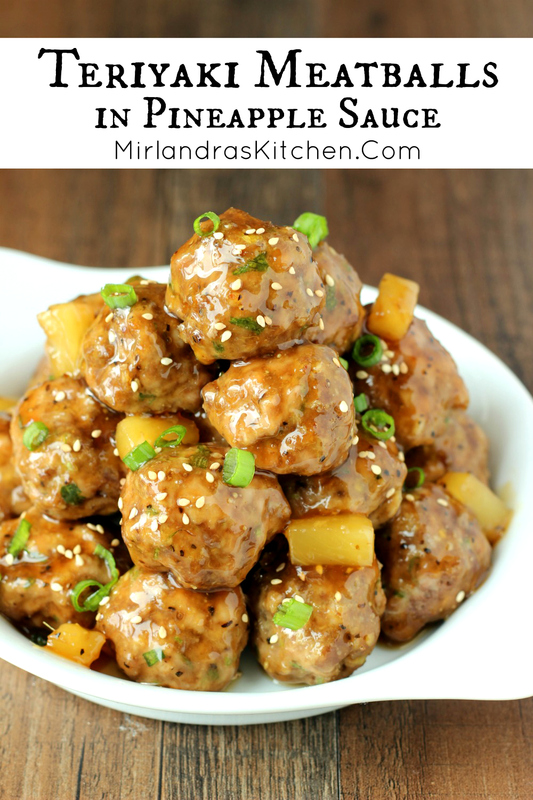 When the meatballs are done gently stir them into the sauce and then spoon the mixture into a serving bowl. Pineapple has a digestive enzyme in the fruit that causes it to break down meat. 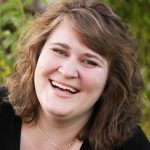 This makes it wonderful to serve with meat dishes but can be frustrating for leftovers. If I expect to have leftovers I serve the pineapple on the side instead of in the sauce - that way leftovers will not be destroyed by the pineapple.